Is it your dream to be in charge of a business? Do you want to be the one responsible for making all the important decisions? Would you like to be actively involved in the day to day goings on of a business, as well as make decisions regarding the behind the scenes operations? If you said yes, then an MBA in business administration sounds like a perfect educational path for you! Of course, you cannot begin working on your MBA in business administration without first obtaining your undergraduate degree in a related field of study. 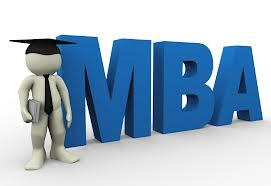 In addition, you can choose to work on your MBA while maintaining employment in the business world. Since the majority of what is required by this degree program is a classroom, lectured based instruction, students will also have the option to pursue their master's degree in an online learning format. Of course, you will need to ensure that the college or university of your choice offers a distance learning course related to your career goals. If this is the educational avenue you choose you will be using the online course content system as stipulated by your college or university. This venue will be how you submit homework assignments, how you watch and listen to lectures, and how you converse with other classmates and your professors. Due to the competitive nature of the business administration field, it is common for individuals to further their level of education as a means of gaining an edge in the job market. Furthermore, if you choose an area of focus within business administration you will likely have an even better edge against fellow job seekers. By obtaining your online MBA in business administration you will have the opportunity to pursue employment in the upper level, administrative roles of a business. For instance, you could become the president of a company, a chief financial officer, or a human resource manager. Additionally, if your ultimate career goal is to teach business courses at the college level, your MBA in business administration will suit your goals perfectly! Your MBA degree program will teach you to use the knowledge and training you have to analyze problems and make smart business decisions that will resolve the problem. While you are working on your MBA in business administration you will be learning about business strategies, economic theories, marketing principles, and effective decision making. You will likely be required to complete core business administration courses as well as concentration courses that will focus on the administration end of a business. Depending upon the four year college or university that you choose below to attend, you will probably be required to successfully complete an internship. This will allow you the opportunity to apply your skills and knowledge in a real-world setting before graduation. During an internship you will complete tasks that will likely be your responsibility in a real job setting, but you will be under the direct supervision of a mentor. This internship will prove to potential employers that you have what it takes to succeed in the work force. At the completion of your required course work you will be knowledgeable of the theories related to a wide range of business topics. It will also be important that you develop accurate analytical skills relative to these theories and business topics. Keep in mind, individuals who are pursuing an MBA in business administration can enter this degree program with a bachelor's degree in a variety of disciplines. It is common for individuals seeking an MBA in business administration to have undergraduate degree programs in areas such as marketing, economics, or accounting.